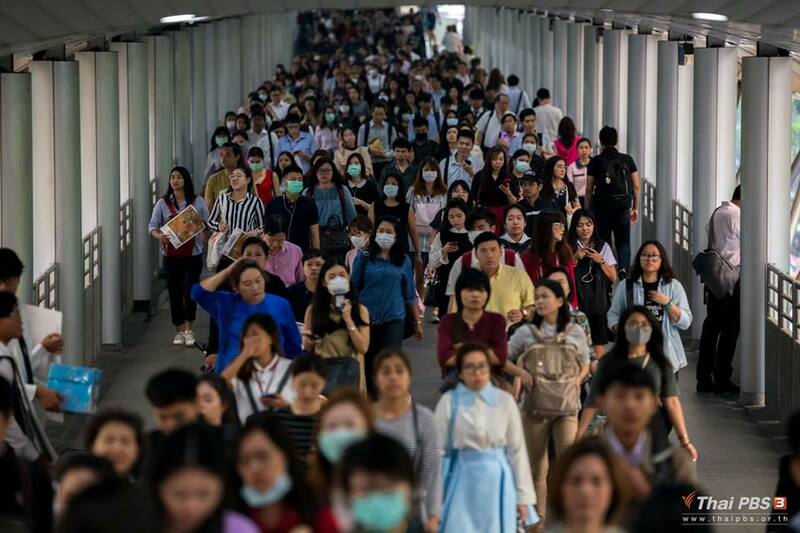 As authorities continue to battle with the health-threatening air pollution in Bangkok, there is more bad news for city dwellers as they may have to live with it for the next 1-2 months. 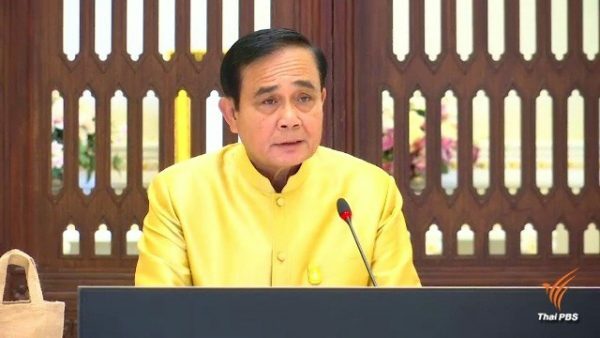 Pollution Control Department director-general Pralong Damrongthai said today that the problem with PM2.5 dust particles in and around Bangkok would fluctuate from within standard level to beyond standard level for the next 1-2 months. 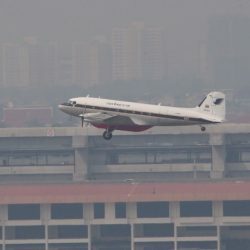 However, he gave an assurance that the threat from bad air quality would be intermittent because of the remedial steps being taken by agencies concerned. 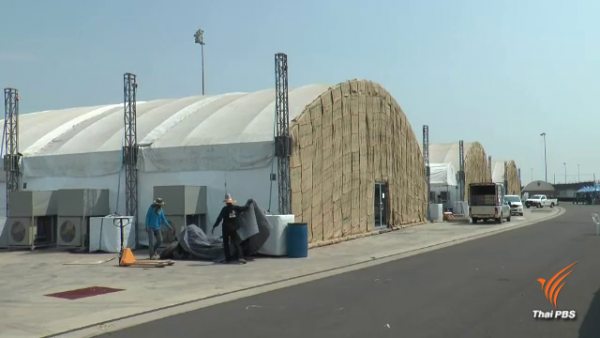 Workers of the City Hall and other agencies concerned have been stepping up road cleaning and water spraying operation while the Royal Rain-making and Agricultural Aviation Department will launch rain-making operations today until Saturday from its temporary base in the eastern province of Rayong. Face masks will be distributed free of charge to members of the public at Lumpini Park, Royal Plaza, Chatuchak, Bang Kapi and Bang Khun Thian districts. 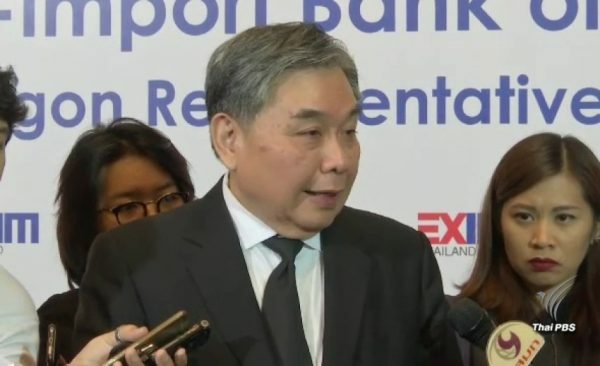 Pralong said he is optimistic that the pollution problem caused by PM2.5 dust particles would substantially ease in the next three years when all the electric train projects in the City will have been completed and become operations with the expectation that more motorists will switch to public transport. 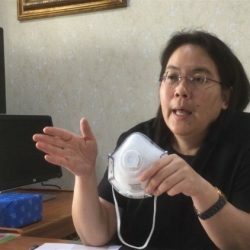 The Pollution Control Department reported today that the amount of PM2.5 dust particles (2.5 micron) was measured to have exceeded the standard level of 50 microgram/cubic metre in 22 areas along the main roads in and around Bangkok, with the highest level of 90 microns being detected along the Phaholyothin road in Chatuchak district where construction of a train project is under way. Kanchanapisek road in Bang Khun Thian district is the next worst-affected area with PM2.5 dust particles being measured at 82 microns. Air quality in 15 areas off the main roads was also found to be health threatening today, with Tambon Om-noi in Krathumban district of Samut Sakhon province being the worst-affected with PM2.5 particulate being measured at 82 microns. The situation for tomorrow is expected to be as bad as it is today although there is a 10 percent chance of rain in Bangkok.